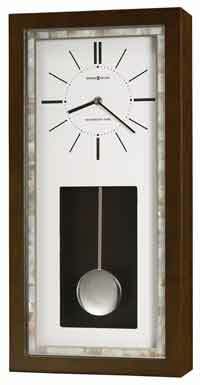 White dial with brushed-nickel bezel, raised bar style hour markers, center ring, black hour and minute hands. 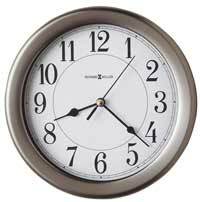 This Clock is finished in Rustic Espresso on select hardwoods and veneers that is lightly distressed. Quartz, triple chime Harmonic movement plays your choice of Westminster, Ave Maria, or Bim Bam chimes, with volume control and automatic nighttime chime shut-off option. 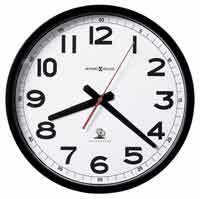 Clocks for sale at The Clock Depot including the 625-471 at discount prices.